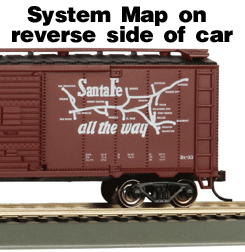 In 1940, the Santa Fe Railway began painting freight cars as rolling advertisements. 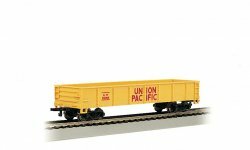 Refrigerator cars, box cars, and auto cars were decorated with a system map on one side and train name slogans on the other. 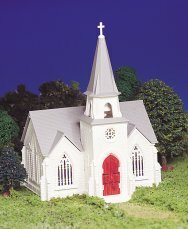 Bachmann is pleased to present this 40’ Box in five map paint schemes. It features an operating sliding door, prototypical graphics, metal wheels and E-Z Mate® Mark II couplers.